I've been fortunate to avoid injuries that prevent my running, but lately I've experienced some painful tweaks in my knee, shin and Achilles tendon. These tweaks are mild and happily intermittent, but they make me wonder what's behind them. I was reading an article on Runblogger (a very nice running site) about Achilles problems and, while I don't think I have "Hagland's structure", I wondered if running in the Hattori's is creating my Achilles issue. I began to think about running in a different shoe. At the recent Dirty Sock 10K run, Paul mentioned that he trains in heavier cushioned shoes and races in lighter shoes. Right now he's running in Saucony Mirages, a shoe I occasionally use for training and racing. The Mirage is a luxury ride compared to the Hattori's, but it's still low and relatively flat. 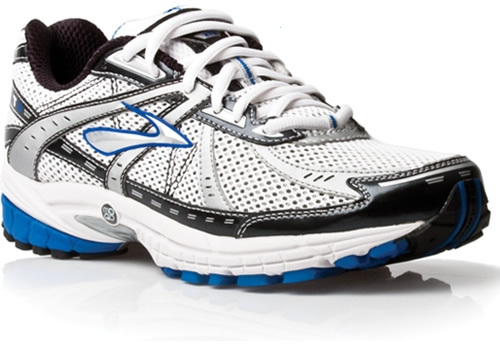 I decided to dust off my Brooks GTS 10's, a terrific shoe that I'd shelved for running due to their built-up platform. I went out purposely slow on this humid morning and intended to keep it that way. I know that an easy run should follow a hard run and yesterday's speed work was just that. The Brooks felt really good and I cruised along for a couple of miles but picked up the pace after the second mile. By the time I reached 3.25 miles I was feeling a little fatigued. 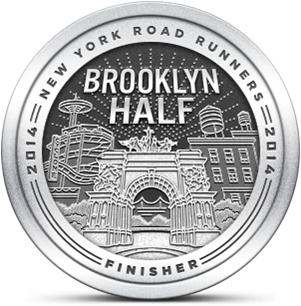 I thought about the idea of running to perceived effort versus a time goal. Over the next quarter mile I perceived plenty of effort as I approached the hilliest part of my route. When I crested the highest section I took off fast and finished my run breathing hard and sweating heavily. I knew I'd probably pushed too hard and possibly invited further injury. My Achilles felt slightly sore and my right knee felt tender. But overall, I think I'm okay. My perceived effort certainly exceeded my performance metrics, but so what? As long as my injuries got no worse and my training advanced, I feel that I'm going in the right direction. We're getting close to the end of summer so, today, the Emerging Runner family held our "Impossible Obstacle Course" in the backyard. Due to the effects of hurricane Irene that landed lots of branches and leaves in the pool, we didn't include a swimming portion. The event consisted of activities like soccer ball dribbling, basketball shooting, hockey stick bowling (don't ask), a lacrosse throw and some running. It was a nice second workout and we all had fun. Best of all, my knee and Achilles felt fine, both during and after.